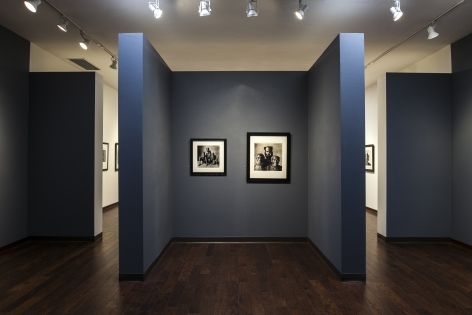 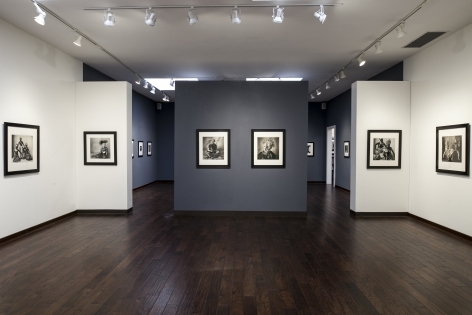 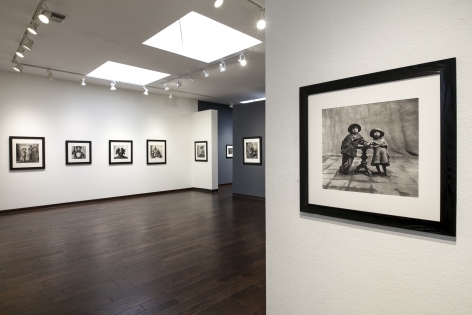 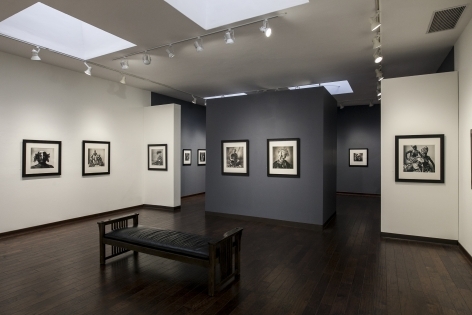 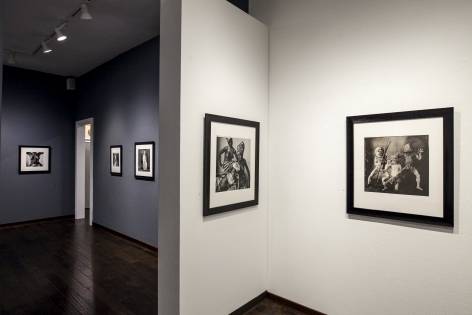 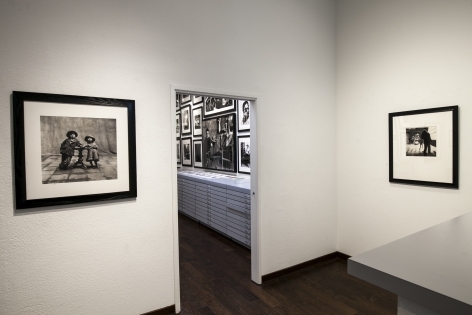 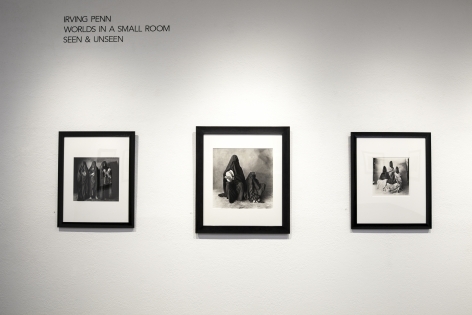 The Fahey/Klein Gallery is pleased to present Irving Penn: Worlds in a Small Room, Seen & Unseen, a solo exhibition of works by renowned photographer Irving Penn. 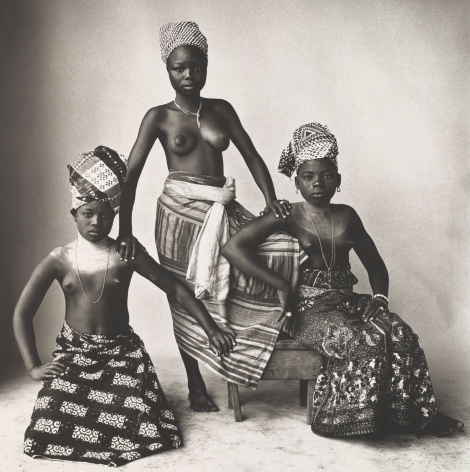 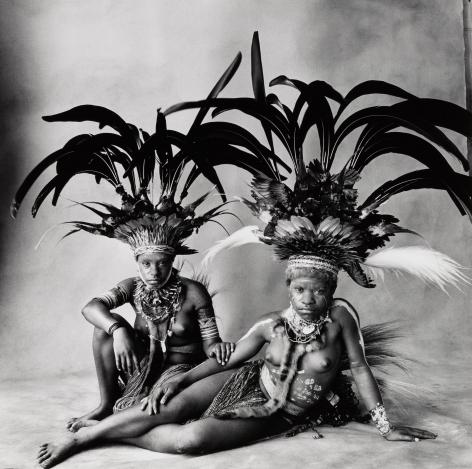 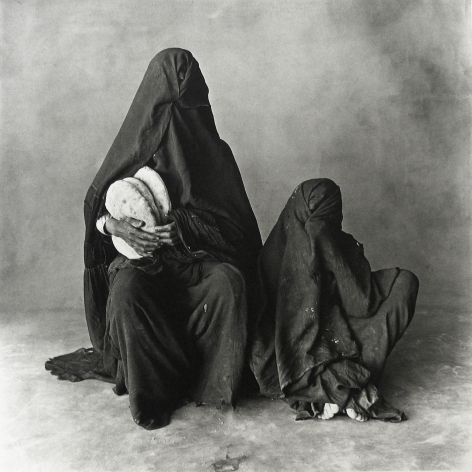 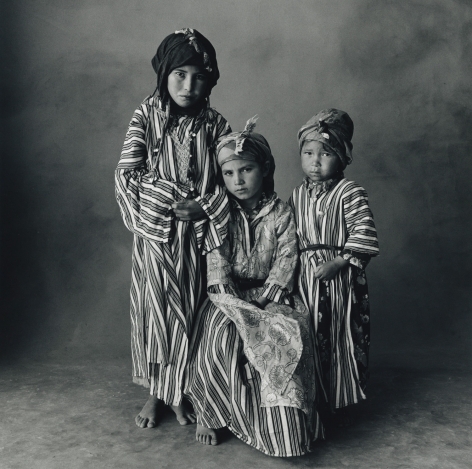 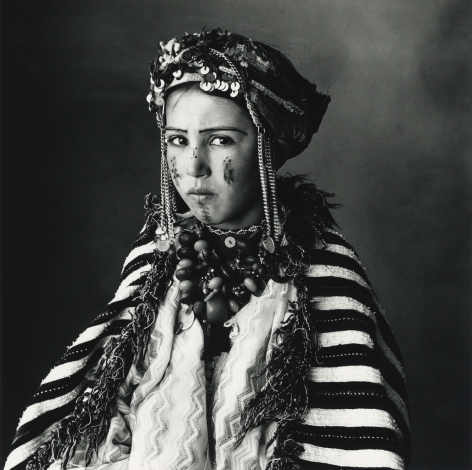 This exhibition will feature a powerful retrospective of Penn’s ethnographic studies, which illustrate the diversity of Irving Penn and his work. 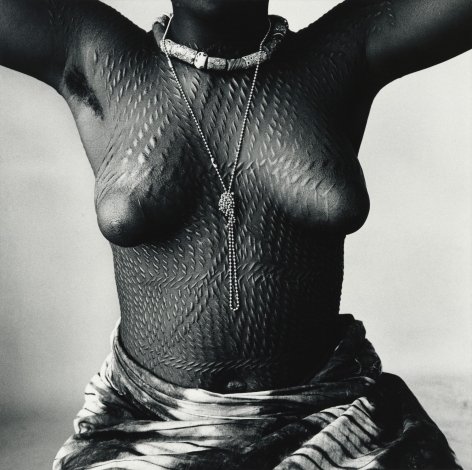 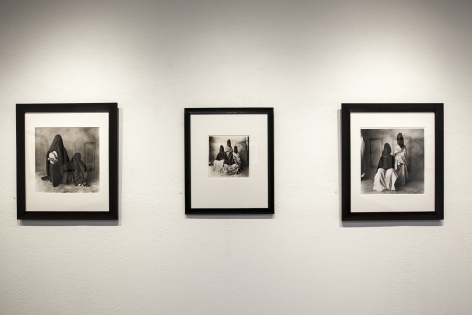 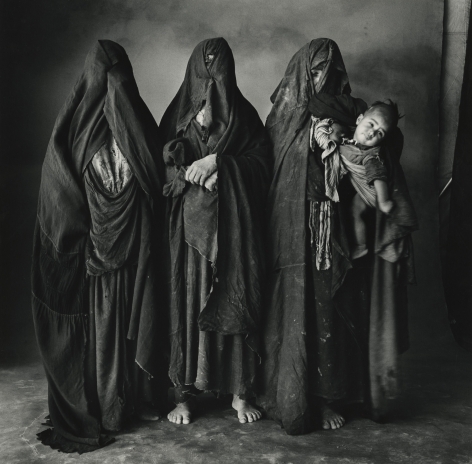 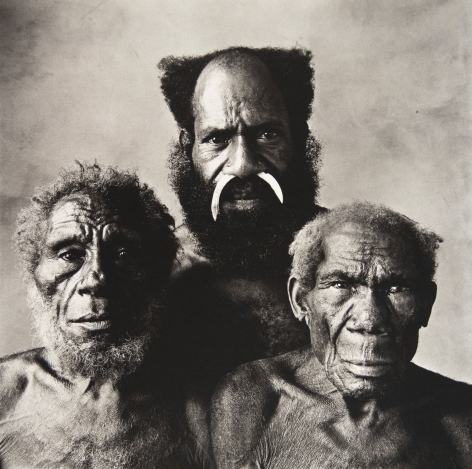 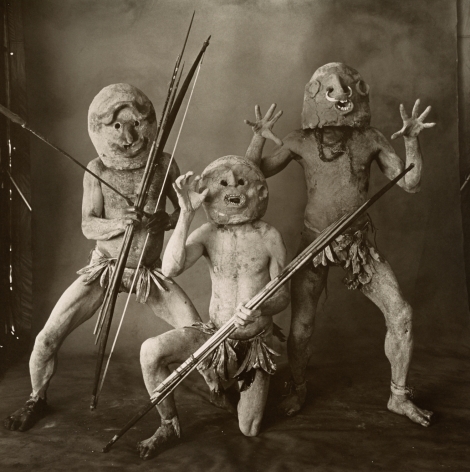 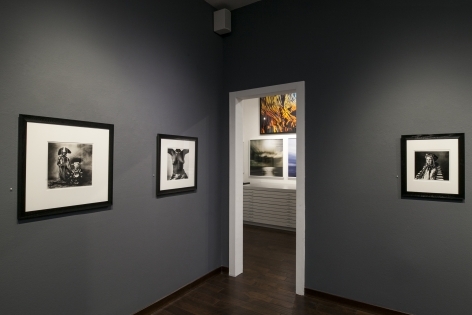 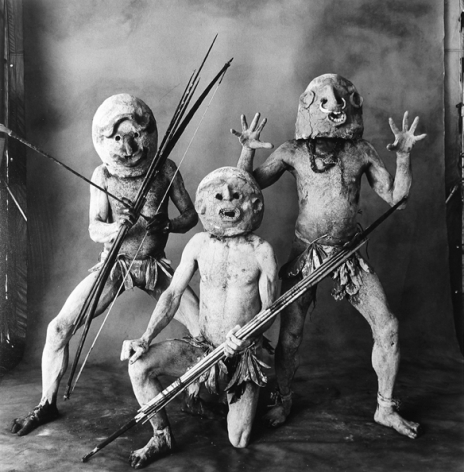 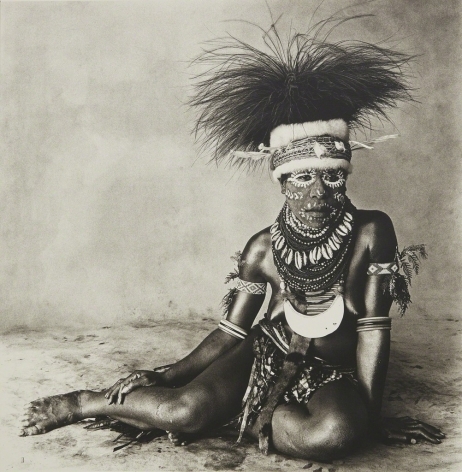 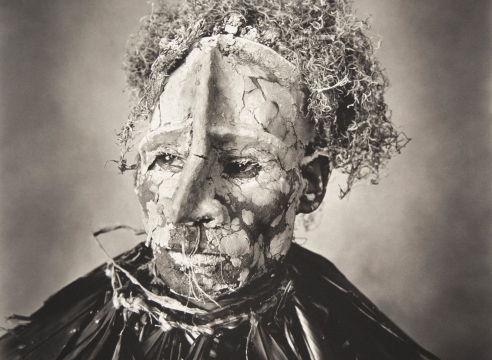 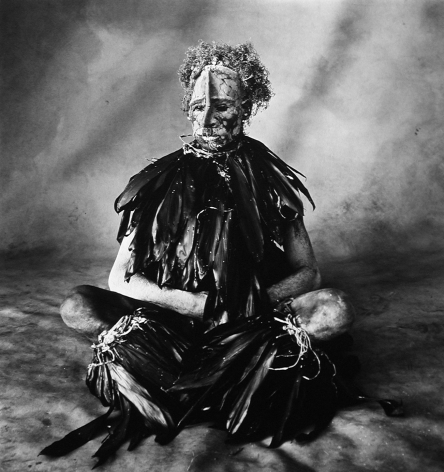 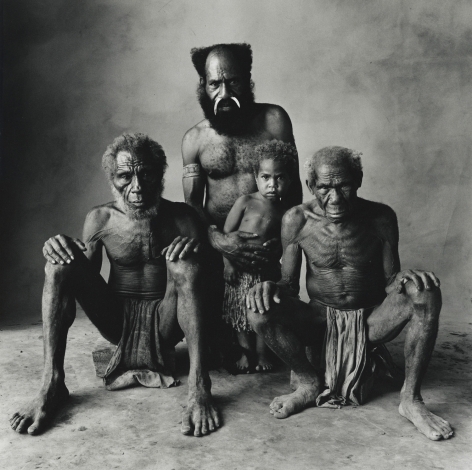 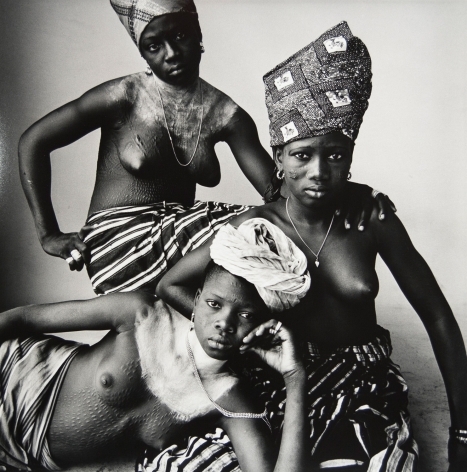 Following a long-established tradition of ethnographic photography, Penn abandoned the tradition’s passivity and instead applied his own unique approach. 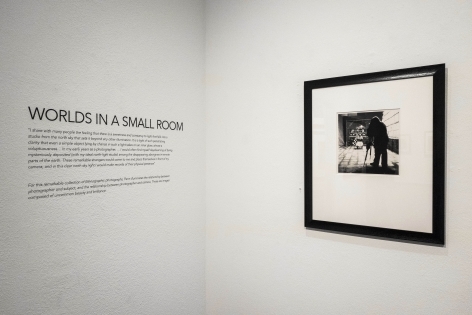 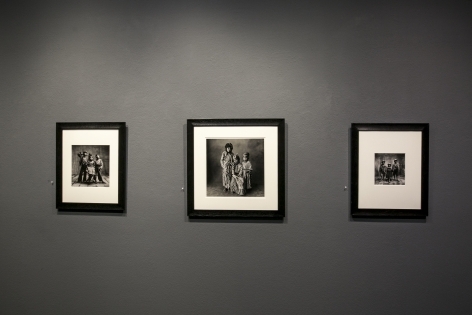 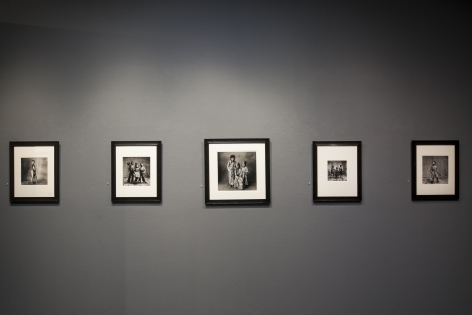 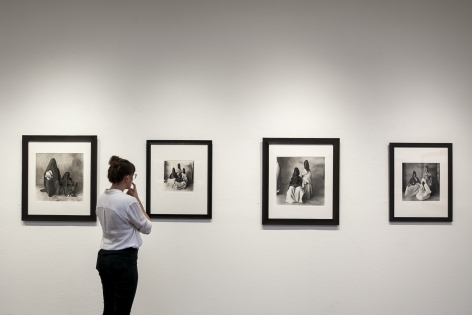 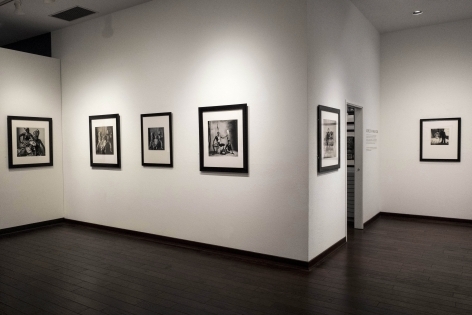 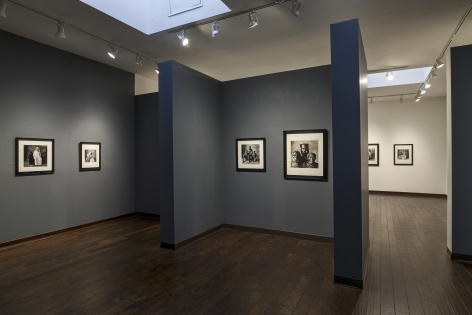 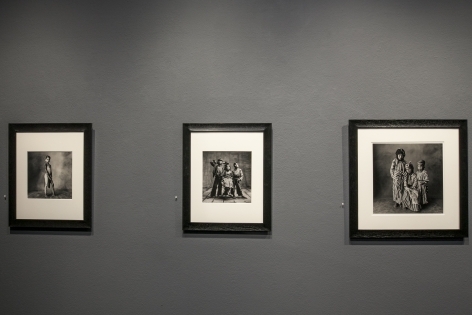 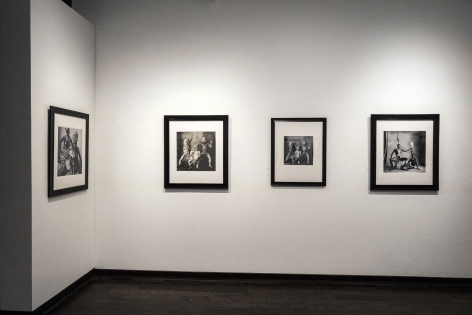 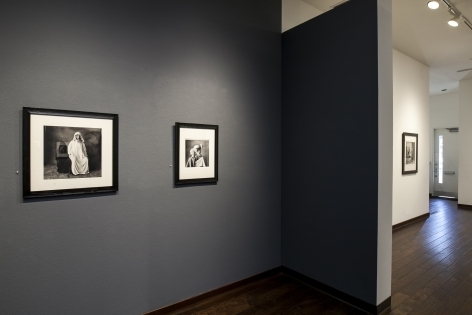 The photographs on view highlight Penn’s purposeful engagement with his subjects and his exacting attention to detail. 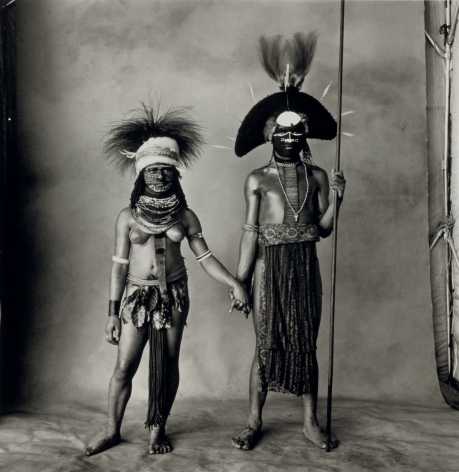 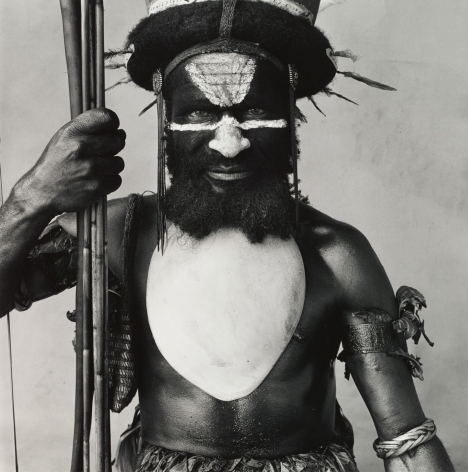 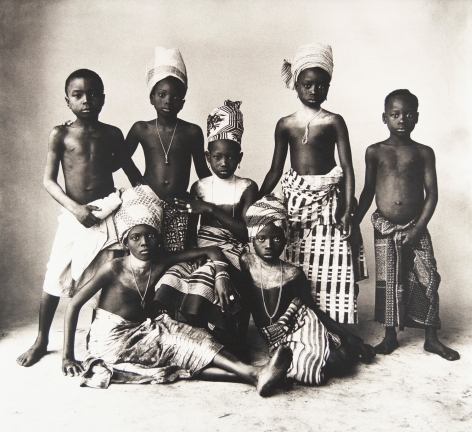 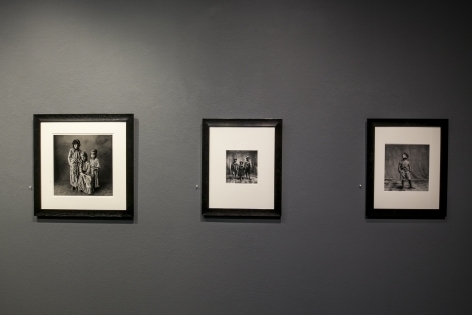 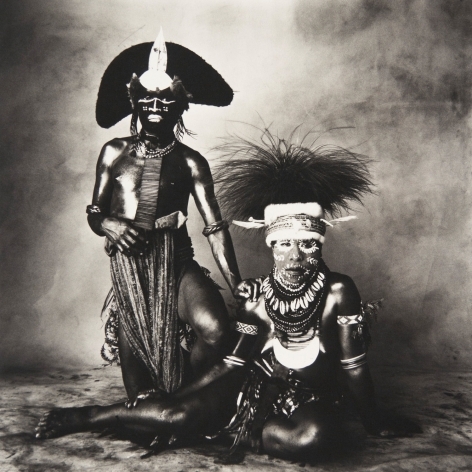 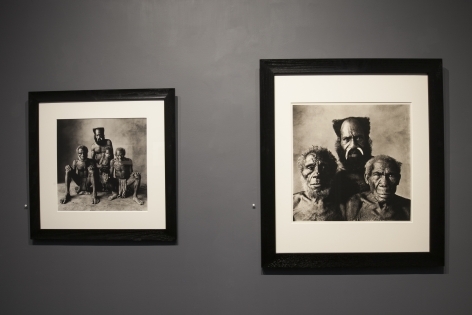 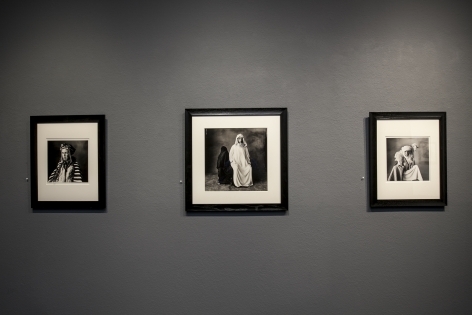 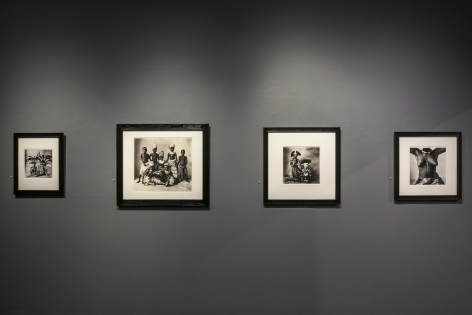 A stark contrast from his personality portraits, the photographs in the exhibition are drawn from the images made from his travels to Peru, Dahomey, Morocco, and New Guinea. 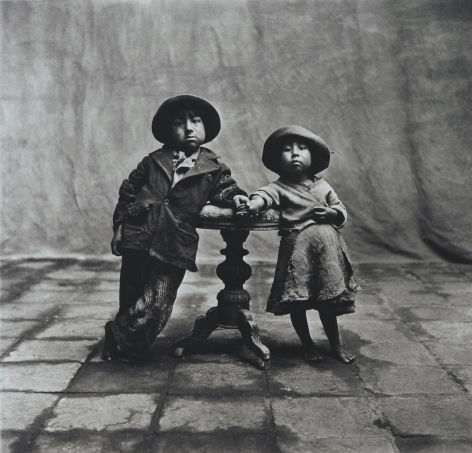 With the generous assistance from The Irving Penn Foundation, the photographs on view will be a combination of well-known images, as well as a small selection of lesser known and previously unexhibited works from the “Worlds in a Small Room” series. 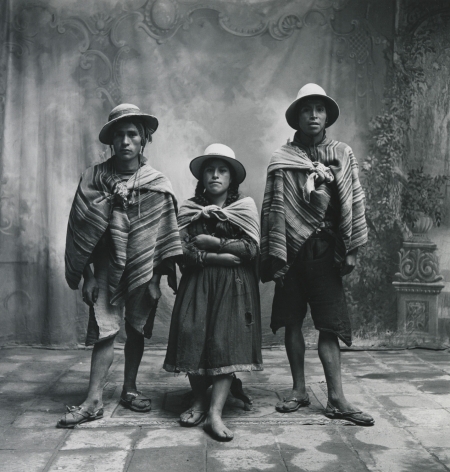 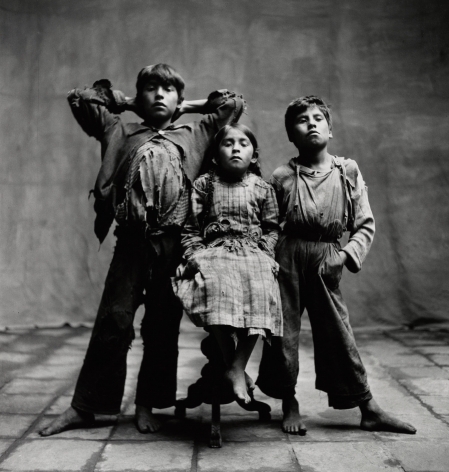 Beginning in 1948, when he photographed the Peruvian Indians in Cuzco, Penn travelled the world and compiled what he called, “records of physical presence”. 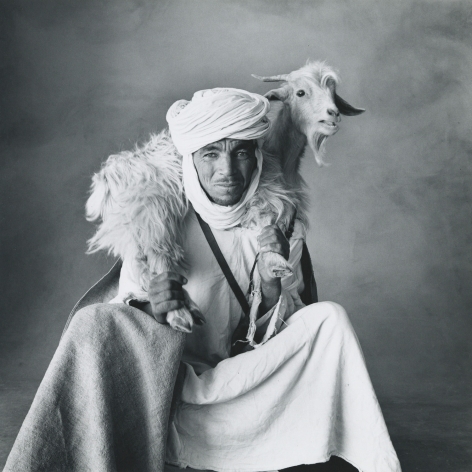 He set up his “ambulant studio” on the edge of the Sahara, among gypsies in Spain, in the highlands of New Guinea, in the mountains of Nepal – and invited the inhabitants to step, for a moment, out of their worlds and into a new one. 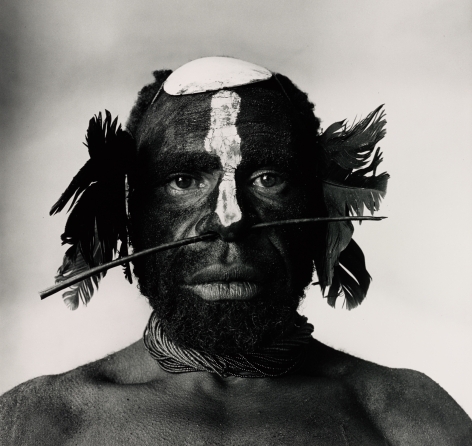 This new world, neutral territory for both photographer and subject, would serve as a meeting ground for nothing less than an intensely human encounter. 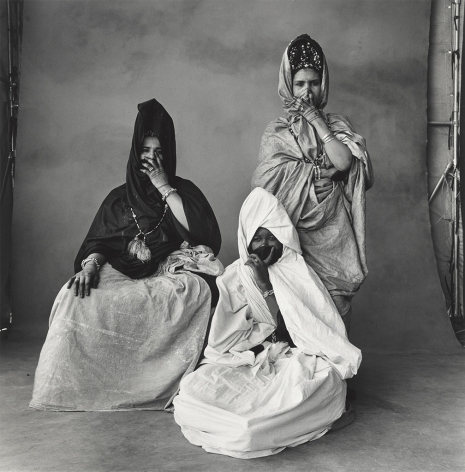 In a career that spanned nearly seventy years, American photographer Irving Penn (born 1917) created some of the most arresting portraits, influential fashion studies, and provocative still lifes of the twentieth century. 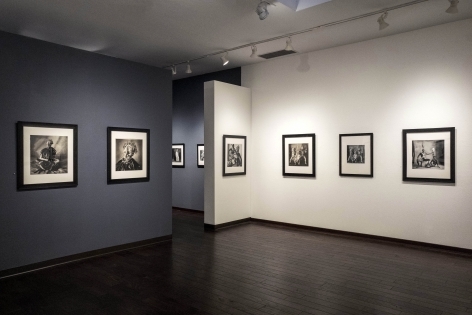 As one of the most distinguished photographers of the twentieth century, Penn’s portraiture was a fundamentally important part of his remarkable career. 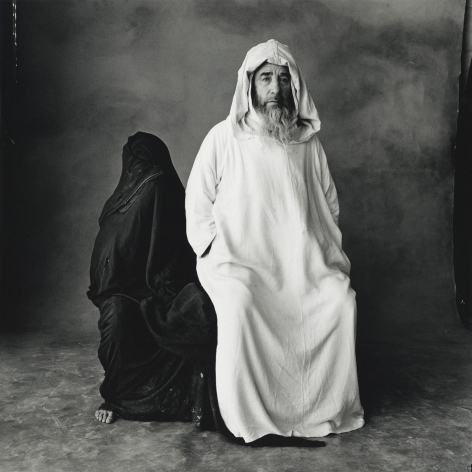 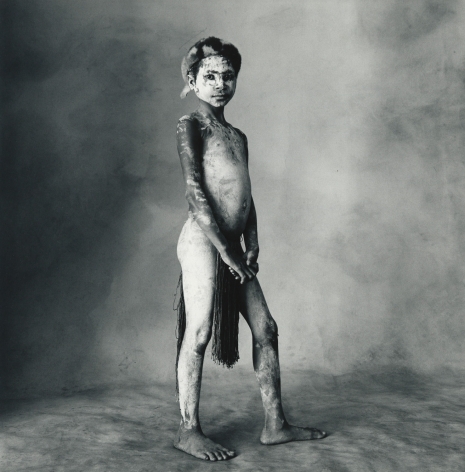 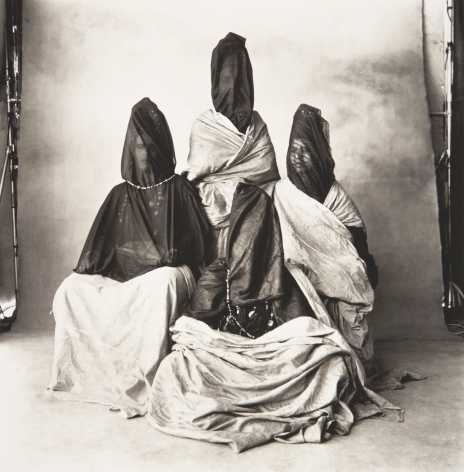 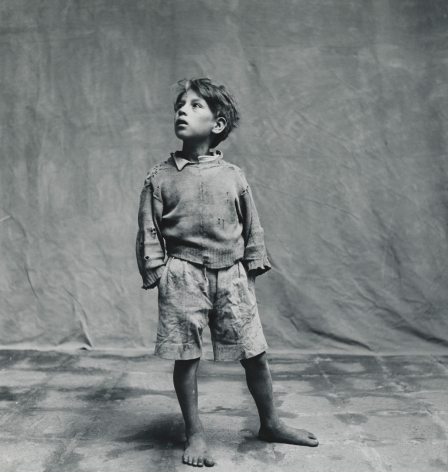 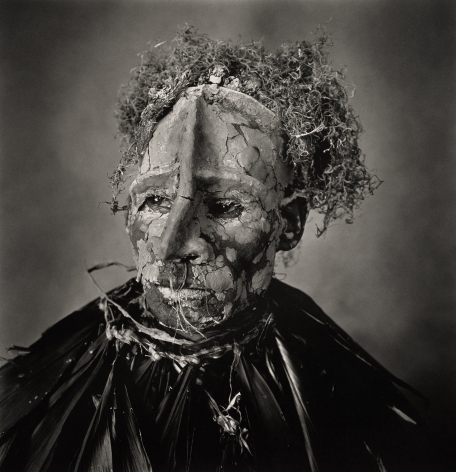 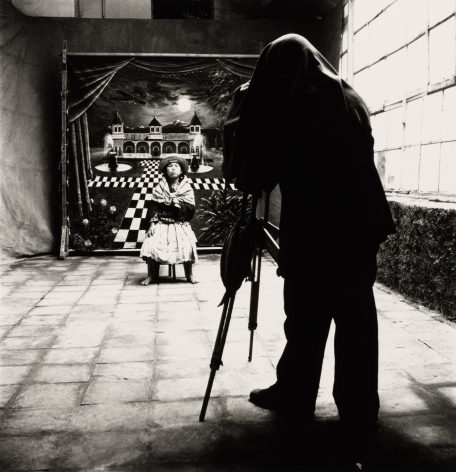 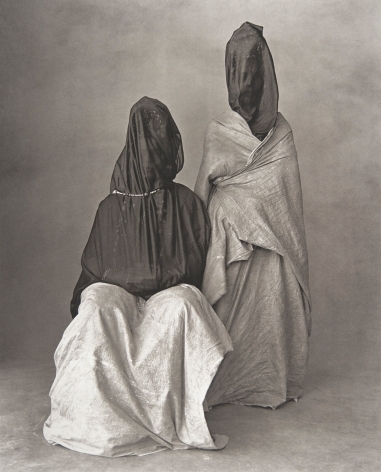 Irving Penn challenged and changed expectations of what a studio portrait can be. 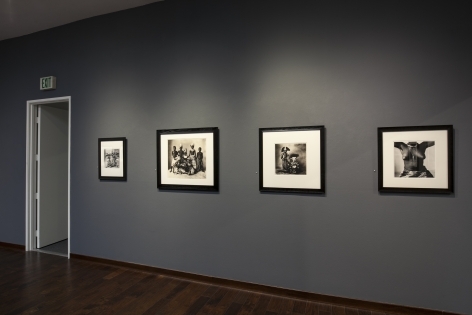 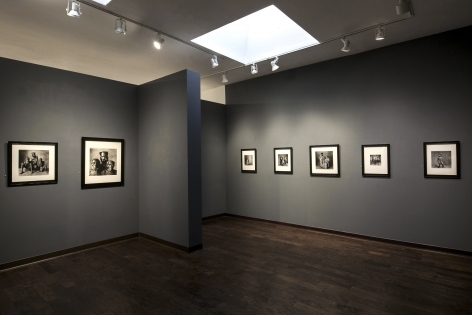 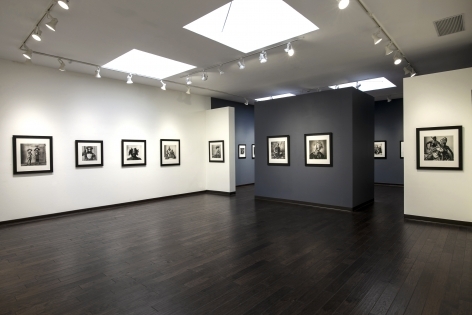 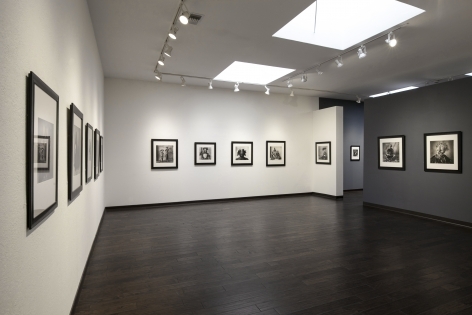 As a true mark of the significance of his work, Penn’s photographs have appeared primarily in the pages of Vogue, as well as other prominent magazines, as well as on the walls of established galleries and prestigious museums.